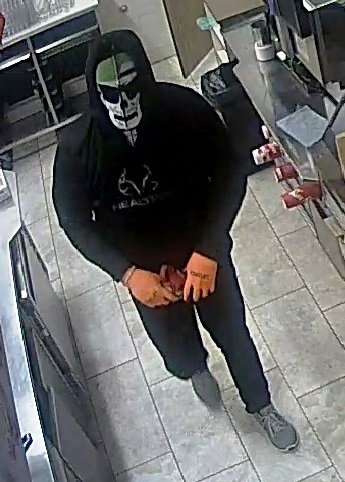 On January 1, 2019, West Shore RCMP responded to an overnight break and enter at the Eagle Creek Tim Hortons. 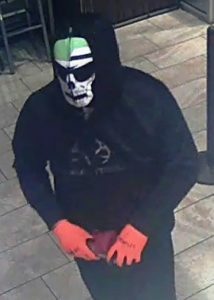 Video surveillance shows a lone suspect breaking into the store at 12:18 a.m. wearing a black hoody, black jeans, grey shoes, orange gloves and face mask. Stolen was approximately $200 in cash and several Tim Horton’s brand mugs and coffee products.